Garage Door Installation, Gastonia | Doors by Nalley, Inc.
During every garage door installation job we perform in Gastonia, NC, we will pay strict attention to detail in order to ensure that every part is working correctly. Garage Door Installation in Gastonia – Purchasing a new garage door for your Gastonia, North Carolina home is likely something you only do once every several years because a new garage door is a large investment. Because of this, it is essential that your new door is installed correctly. If you need someone to handle the garage door installation process, at Doors by Nalley, Inc., we’re here to help. With nearly 25 years of experience in the industry, we have the knowledge required to correctly install your garage door the first time. During the garage door installation process, we will pay strict attention to detail in order to ensure that every part is working correctly. We won’t leave your home until we are confident that your garage door will function like it should. 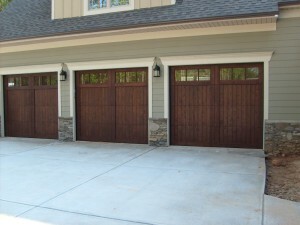 At Doors by Nalley, Inc., we believe that garage doors do more than just keep your cars out of the sun on a warm day. A garage door can add aesthetic and monetary value to your home and also play a role in keeping your home secure. Because of this, it is best that you let one of our professionals handle your garage door installation. When we install your new garage door, we can also provide you with information regarding what type of garage door opener will complement your system. Additionally, if you ever have problems with your garage door or opener in the future, our maintenance services are unparalleled in the Gastonia, North Carolina area. Give us at Doors by Nalley, Inc. a call today to schedule a garage door installation consultation. Here at Doors by Nalley, Inc. we offer only the highest quality garage door installation for our customers in Gastonia, Mooresville, Charlotte, Hickory, Statesville, Denver, Huntersville, and Lake Norman, North Carolina!